The rules for the 2015 Conference are now posted. Please go to the Conference Rules page. The Show Season is right around the corner! Are you ready? Here are some tips and tricks to help you prepare and have a less stressful and more successful year. Good Luck! 1. Select something to keep show items in such as small suitcase, hat box, or something similar with reliable lid that will stay closed no matter what. 2. Gather I.D. sheets, registration sheets i.e. AQHA, APHA etc. Vet checks as needed such as for State Horse Show or traveling outside of state. Would not hurt to put in the horse project book as well. It wouldn’t hurt to put these in something like a waterproof cover/notebook to keep together better. 3. Rule books such as 4-H or NCHA or other groups you might show with. 4. Pens and paper to write down patterns or other important info at shows. Little spiral at the top notebooks are great for this. 5. Tylenol or some such pain medication. Somebody might need it before the day is over. 7. White long-sleeved shirts it never hurts to have more than one of these too. Take a shirt to wear over show shirt when you eat. 8. Hat is very necessary as well. Also have a plastic hat cover for those rain or shine shows. 9. Neck ties or scarves (not too flowing). Some people also wear western jewelry such as necklaces or pins. Earrings are optional. Be sure they are not dangling type. 10. Western belt. The bigger the buckle the better to stash your pattern copy behind. 11. Western boots are required. Be sure they are clean and polished. 12. Hair pins (bobby pin style) especially long ones will keep your hat on in hurricane. Also hairspray will also help. 13. Duct tape will work for guys to keep their hats on. 14. Blue jeans that are not too faded or have fancy stitching on legs are the best to have. Some judges can get real picky in horsemanship/showmanship if there needs to be a tie-breaker between entrants. 15. PRACTICE THE EVENTS YOU WILL ENTER. If you have access to the arena near you, great. But if not find a place that you can do what you want such as changing leads, gaits. Sometimes music will be a help if you play it so that your horse will be used to noise. Some horses will get going with the beat of the music too. Don’t practice the same thing all the time. Vary routine. Go for a ride down the drive way to give you both a break. The more time you can spend with your horse the better you will know each other. Set up obstacles such as branches or logs to go over. Open mailboxes put on coats or slickers from posts. 1. 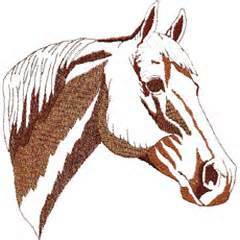 Check in with horse show office with needed papers such as i.d. sheets/vet sheets. Fill out entry forms, pay entry fees, and obtain number. Numbers for Loup Valley Horse Conference shows are good for the whole season. Cover with clear contact paper to make them last if you don’t have a regular number holder. Numbers go on your back for halter/showmanship classes and on the saddle pad behind saddle for riding events. 2. Obtain copies of patterns. Some shows will provide copies but that is what your little notebook in your box is for. If you have a small copy you can review it while you wait for your classes and keep tucked behind your belt buckle. 3. Never assume there will be a concession stand. Bring food that you can eat on the run if the show decides to not take a lunch break. If nothing else you have something to eat on the way home. 4. Be ready for your class!! Some shows will only call 3 times then close the gate. If you need a tack change or to change horses let show people know ahead of time. Have someone with necessary change near exit so it can be changed quickly. Have your hat and armband on (left arm for band). It is ok to have someone else copy your patterns but be sure to look at them yourself before class. That is why you need a copy of the rule book so you can look at those patterns. 5. ASK QUESTIONS AS NEEDED. If you don’t understand pattern or instructions ask someone such as ring person or judge. 6. Watch other riders. Especially the ones who win the class. What did they do differently than you did? 7. Have fun. This is just for fun. Be safe.